Enjoy a Private Outlet Mall Shopping Day Trip from or to Los Angeles-Hollywood area. This Private Day Trip can be booked up ten (10) passengers. Fold up wheelchairs welcome. Spend some time away from the theme parks and embrace the splendor of Southern California Outlet Mall Shopping. Purchase your favorite brand at the fraction of their original prices. This Private, Outlet Mall Day Trip starts and ends at your Los Angeles, Hollywood, Santa Monica area hotel, residence or office location. 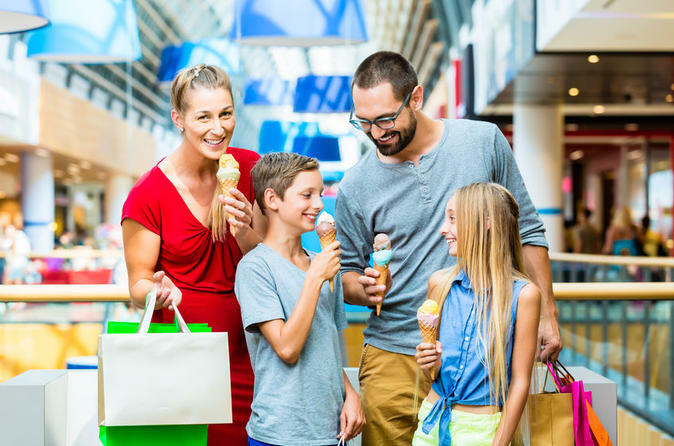 Based on where you've decided to go, your driver will hit the road for a Shopping Extravaganza, that includes one or more So Cal Outlet Malls, such: The Block, The Citadel Outlets, San Clement Outlets, and Camarillo Outlets. This Private Outlet Mall Shopping Day Trip can be booked up to ten (10) passengers in the same party. Multiple pickups locations options available. Fold up wheelchairs welcome. Present your pre-paid voucher to the driver and you will be on your way. Happy Shopping Day. You deserve it.